Just a note to let everyone know that I just posted another episode of the MagicNewswire.com Spirit of Magic podcast. 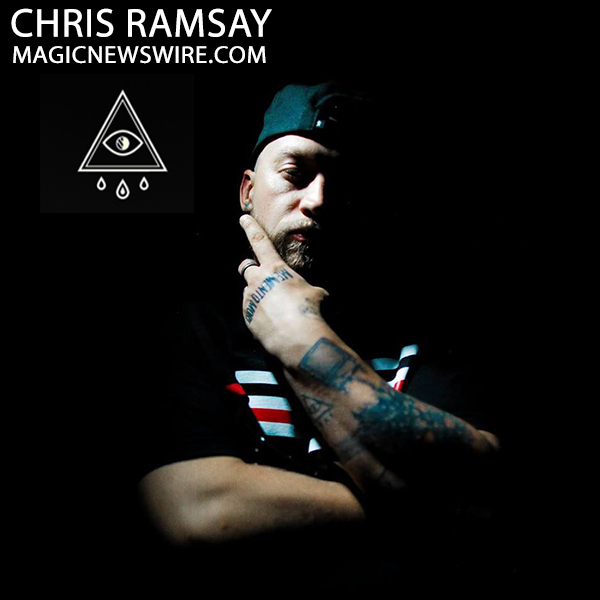 This interview is with the fascinating Chris Ramsay. Hi, Dodd. I just wanted to say these are fascinating interviews and I think you do a great job with them. You are an excellent interviewer... many thanks to you! I agree, Dodd. I recently discovered your podcasts and have been soaking them up. The first one I heard was on Charlie Miller -- just terrific. I also heard ones with Bill Malone, Steve Cohen, Paul Gertner, John Carney, Tom Mullica, David Roth, Paul Wilson, John Racherbaumer and JC Wagner. The Harry Lorayne interviews are up next, as are so many others. Great job...and thank you! ...and since my daughter saw Mario the Magician perform last week at Mohink Mountain in New Paltz, NY, I'm soon going to listen to your interview with him, too. She spoke with him after the show and had many good things to say about him as approachable, friendly and appreciative of their chat. THANKS GUYS! I appreciate the feedback and encouragement!